Luxottica, the Italian eyewear maker that owns Ray-Ban and Oakley, is working with Google to design a new version of Glass, its CEO said Friday. The disclosure is a further indication that Google Glass, which is still being sold to business, will be revived at some point as a product for consumers. Luxottica is working with Google on a second version of Glass, and the online giant is also rethinking how a future model might look, Massimo Vian, one of Luxottica’s two CEOs, told shareholders in Milan. “In Google, there are some second thoughts on how to interpret version 3 [of the eyewear]. What you saw was version 1. We’re now working on version 2, which is in preparation,” Vian said, according to the Wall Street Journal. He didn’t give any details about the product or say when it might be introduced. 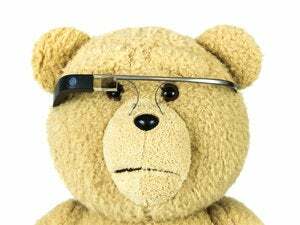 Launched in 2013, Glass became popular among technology enthusiasts, but its US$1,500 price tag held back wider adoption. Many also felt awkward about wearing a computer on their face in public, and the device’s ability to record video surreptitiously sparked privacy questions. Google, though, believes the headset has potential for consumers but that it needs to be reworked. In the meantime, it’s still selling the device to businesses, which have found uses for it in the workplace. 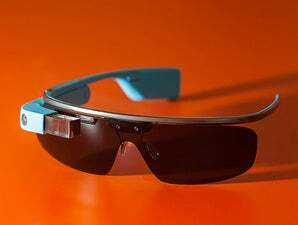 In 2014, Google enlisted Luxottica to help make Glass more stylish. Vian traveled to California recently to meet with the new Glass team, the Journal said. The group working on Glass was revamped after Google ended consumer sales of the device in January. The personnel changes included giving Tony Fadell, head of Google’s Nest connected home division, oversight of Glass’ development. His role would be to get Glass “ready for users,” Google Chairman Eric Schmidt said in March. Luxottica, which is one of the world’s largest eyewear manufacturers, is also working with Intel on a device that will come out next February or March, the Journal said. Neither Google nor Intel immediately replied to requests for comment.